Just a warning before you see what is to follow: you might think, oh how cute, they are going to the prom. But you would be wrong. This is pure, unadulterated showing-off. 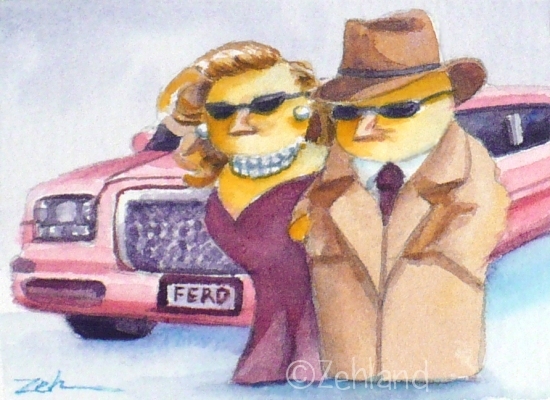 Nina would have liked if Ferdinand dressed up a bit more, but he was all for the trench coat look. She didn't push. After all, as you can see, she got her way with the color of the limo. 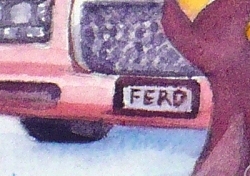 But Ferdinand got the license plate. They just look too...worldly. But read on - they cannot maintain this attitude forever. Rooster's Day is almost here. Roosters don't always get the credit they deserve for all they do. They wake up at the crack of dawn and make sure everyone else is awake too. 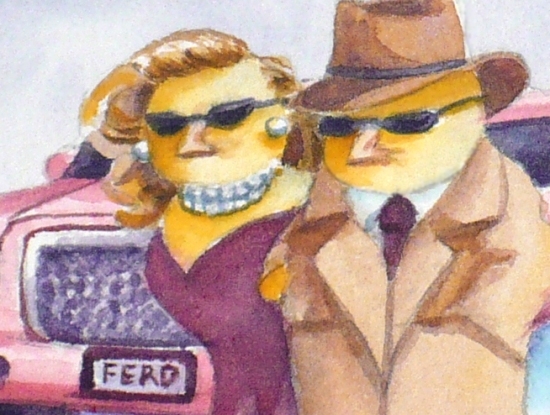 They strut back and forth around the barnyard from morning to night keeping the hens in line. Everyone expects this and they don't think much about it. That is why Rooster's Day was invented. It's one day out of the year when they can take a well-deserved break. 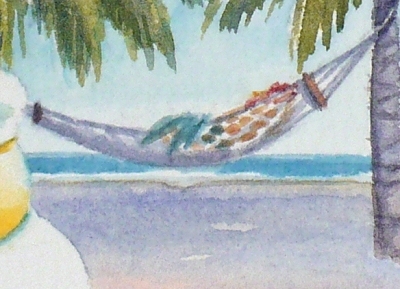 On a hammock. At the beach. Under some cool palm trees. While their offspring run the barbeque grill. Ferdinand insisted on doing the job since it's a grill and involves fire and is dangerous. 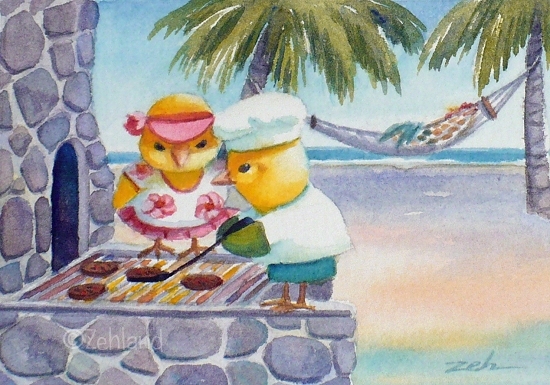 Nina is telling him to be sure the seed burgers are medium rare. But even if he burns them, his rooster Dad will say they are delicious. So all in all, it is a really nice day. 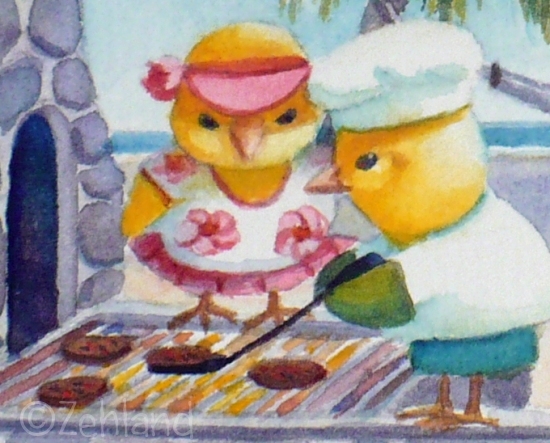 We hope your Rooster's Day (or Father's Day if you prefer) is a good one too with fun times or happy memories!